I had posted this before in one of my past blogs, but wanted to repost it for those who didn't have a chance to read..
An athlete could be in the best shape of his or her life and still not be able to perform up to the standards. How is that possible? THE KILLER I'S : Injury and Illness. It's been said many times that being able to win championships or set huge pr's is not necessarily about how fit one is, but how LONG one can stay fit, meaning no illness or injury. You can't win a race if you can't make it to the starting line. You can't race when you can't train, you can't win when you can't race. One of my friends once told me, "There's a fine line between injury and fitness". Believe it or not, the fitter you are, the more likely you are to get hurt. This is because of the nature of our sport: we can be very stubborn at times. When we feel in great shape, we are most likely to try reaching new heights. We try to do harder workouts just because we are finally now physically "able" to do those killer worker. Although, some may argue that if you are fit you are able to avoid injuries, that is not necessarily true. 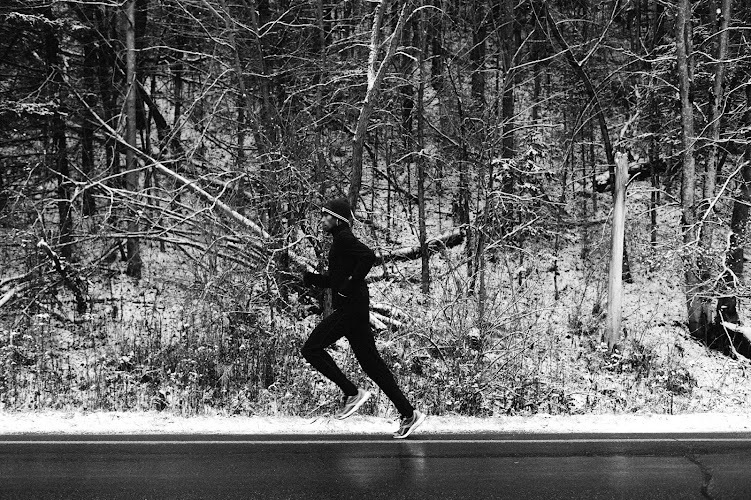 As runners, we are pushing our bodies to test our limits. We are ripping micro tissues left and right and inhaling cold air into our lungs and pretty much making ourselves feel as tired as possible. That's the definition of training: get tired, recover, perform and then do it all over again. Get Enough Sleep: Athletes should be getting at least 8 hours of solid sleep. If you find yourself bored, best thing to do is take a nap if you can. If you are a serious athlete, this shouldn't even be a question. You should be coming home tired and just waiting to hit the sac. Laying in bed watching movies doesn't count as slee. You need to shut down the brain for a while. Take your Vitamins: OK I'm not telling you to go buy 20 different kind of vitamins.I m , myself, am not expert in the field. Even if you tried to eat as much as possible you still wouldn't be able to get in all vitamins needed. A multi-vitamin per day will ensure that daily values are being met. Some injuries such as anemia can easily be avoided by simply taking your iron pills. Even if antioxidants don't completely keep you from getting sick, at least they will reduce the chances. See the Docs: Make it a habit to see your trainers, massage therapists and/or chiropractor on a regular basis. Most athletes tend to see their doctors when there is no remedy. Some minor setbacks such as knots can easily be taken care of before they start causing other major injuries due to compensations. Home Therapy: If by any chance you start to feel an injury coming, don't wait 'till your doctors appointment. Start doing what you can to get rid of the injury. Research your injury and try the famous R.I.C.E methos (Rest-Ice-Compress-Elevate). If necessary, take ibuprofens. personal hygiene is also important in keep you healthy. Dress for Success: Get the right training equipment. Buy the right shoes for your feet. Most injuries originate in the lower legs, especially the knees, shins and ankles. Also wear the right equipment for running to prevent sickness. It's important to remember that every missed day of training for you, will not be one for your opponents. Loss of fitness can occur very quick and it takes much longer to get back to the same fitness.